Sidebar Styler takes advantage of the new technologies introduced in Vista in order to provide extensions to the existing functionality of Windows Sidebar. Custom styles allow for resizing and customizing the appearance of Sidebar so that it fits other UI elements, such as the Aero Glass colorization or an actual third party theme. 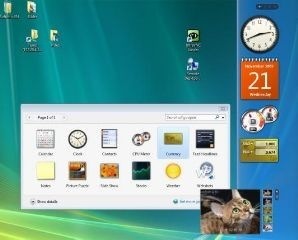 Designers could save their visual styles so that other Windows users could apply them. Designers would not necessarily create these files on Vista - Sidebar Styler is backward-compatible with legacy operating systems as well.